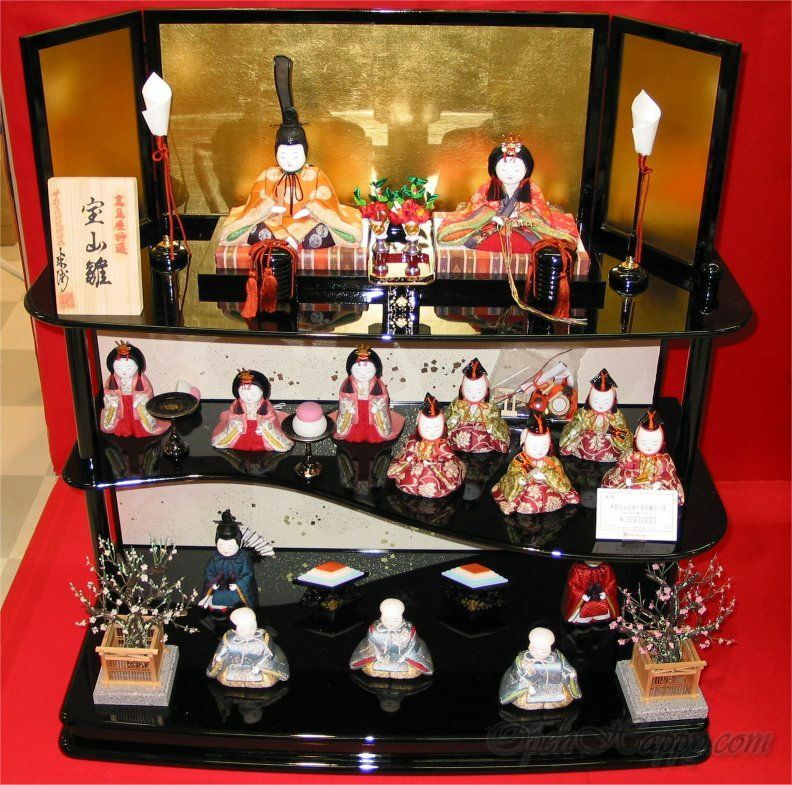 The Japanese Doll Festival is also called Hina-matsuri in Japan. 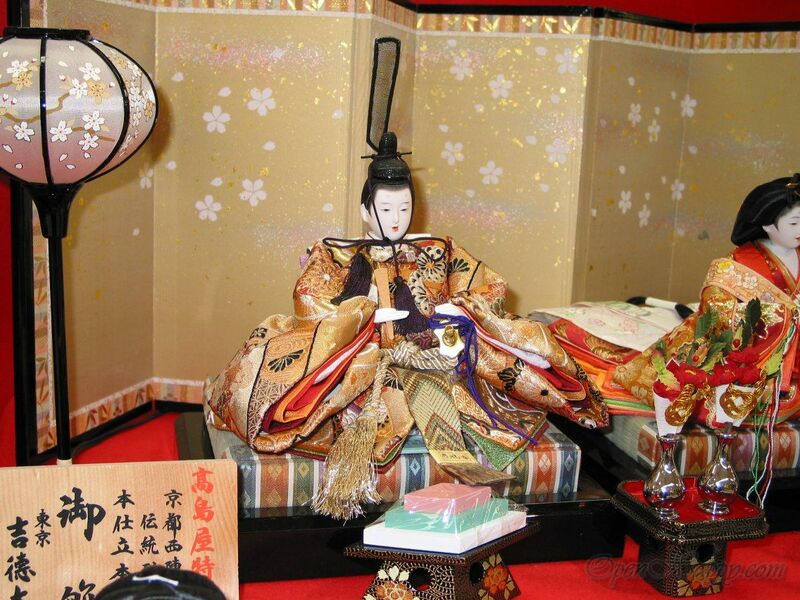 It is a "Girls' Day" held on March 3. 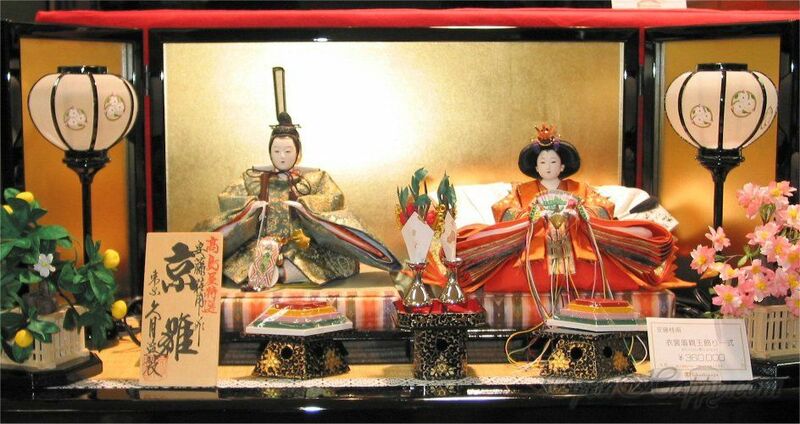 There are platforms with a red cloth (hi-mosen) used to display a set of ornamental dolls (called hina-ningyo) representing the Emperor, Empress, attendants, and musicians in traditional court dress of the Heian period. There are three or more layers. The second platform - usually holds three court ladies (San-nin kanjo). Each holds a sake-filler. Third platform - usually holds five male musicians (Go-nin bayashi). 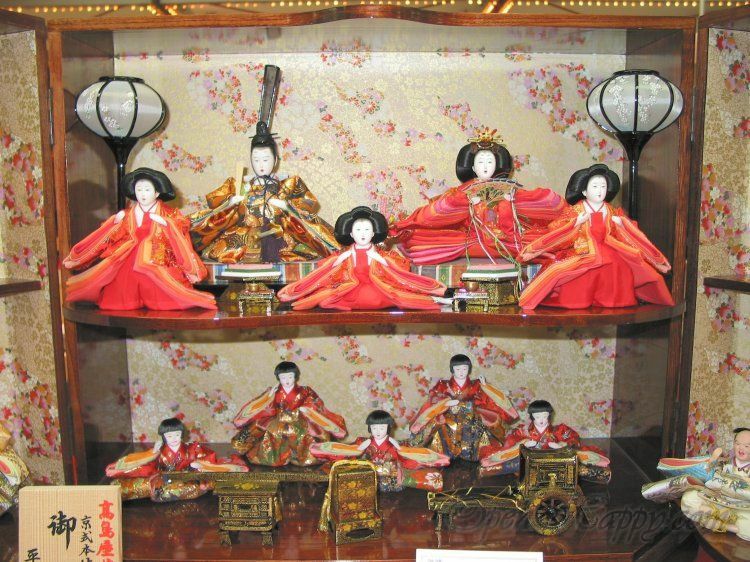 Each holds a musical instrument except the singer, who holds a fan. 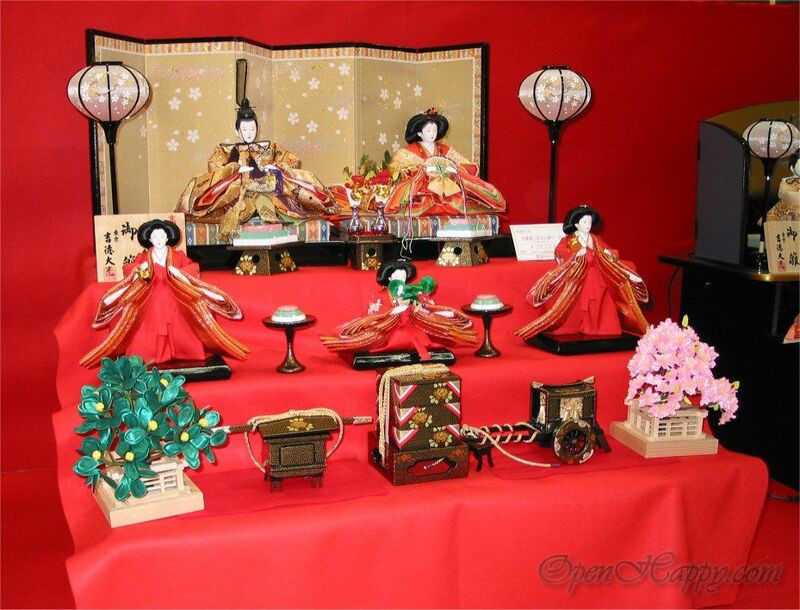 A varity of different things are shown in other platforms (miniature furniture, tools, carriages, etc). (I have a SLR now, but at time time, I used my little Canon G2 to take the shoots).